It was a demonstration of strength by Bayern on Tuesday night against Turkish champions Besiktas. Up a man early on the Bavarians dismantled the club from Istanbul 5-0 without breaking out into too much sweat. It was another gregarious performance by the Rekordmeister, who seems to be set to repeat the glorious moments achieved under Jupp Heynckes in the 2013 season where the club won the famous treble. With a 19-point gap to second-placed Borussia Dortmund games in the Bundesliga now seem to be relegated to a sideshow. But Bayern need to keep up the pressure on themselves to stay match fit for the big games in European competition. 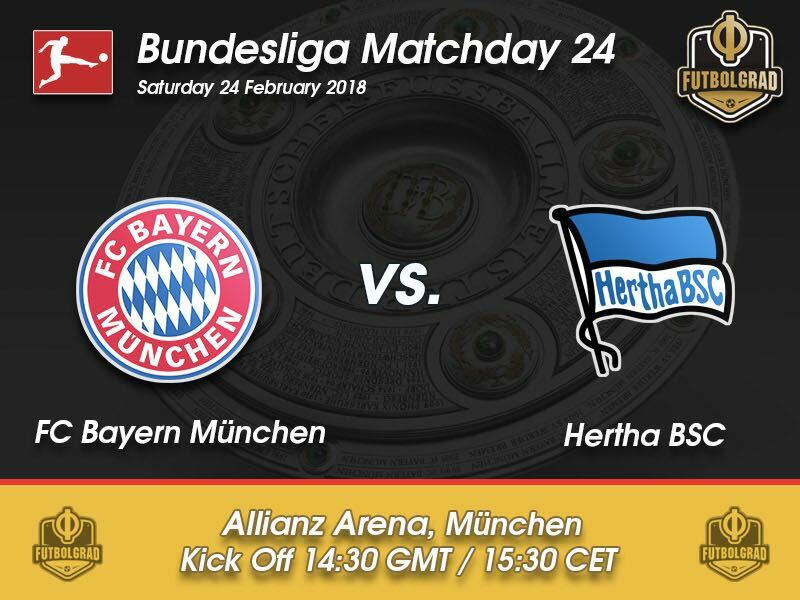 As a result, do not expect the Bavarians to take the game against Hertha easy on Saturday afternoon. Instead, Jupp Heynckes will use the game to give some match time to players that were left on the bench against Besiktas on Tuesday. Arjen Robben and Frank Ribéry did not start midweek, and they are both expected to be back in the side. There has been plenty of speculation that Heynckes’ decision to leave them both out could be an indication that the club is starting to make a transition away from the two superstars. Robbery, as they are called together in Munich, will want to show the decision makers that their time is not up yet, and we have seen in the past that they are still a danger to any side in European football. Hertha, on the other hand, have been somewhat up and down since the winter break. Beating Stuttgart, drawing Dortmund and beating Bayer were the positives since the winter break. The negatives were poor performances against Mainz, Werder and Hoffenheim. Overall it is hard to categorise the club from the capital. Stuck in mid-table Hertha are what they call in Germany a grey mouse, a club that steers no emotions as they are not involved in the fight for top places but are also far removed from the relegation standings. Furthermore, head coach Pal Dardai plays the sort of football that seems to be result based first and does little to excite neutral watchers. Hertha conservative approach, however, has in the past led to good results against Bayern. 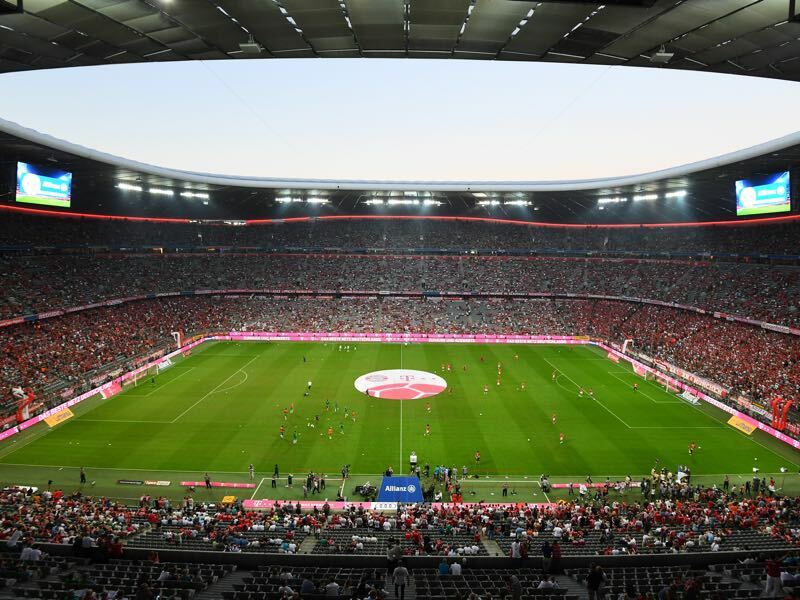 The club managed a 2-2 draw against the Bavarians—a match that took place just days after Carlo Ancelotti was fired—in the Hinrunde and also held the Rekordmeister to a 1-1 draw during last season’s Rückrunde. But with Bayern on form, this time around it would be difficult to imagine this game ending in any other way than a convincing victory by Bayern. Thomas Müller continues his renaissance under Jupp Heynckes. Struggling to fit into Carlo Ancelotti’s system the German national team forward has been in brilliant form since the 72-year-old Heynckes took over. This was especially evident in Bayern’s 5-0 victory over Besiktas on Tuesday where Müller scored twice and assisted once. 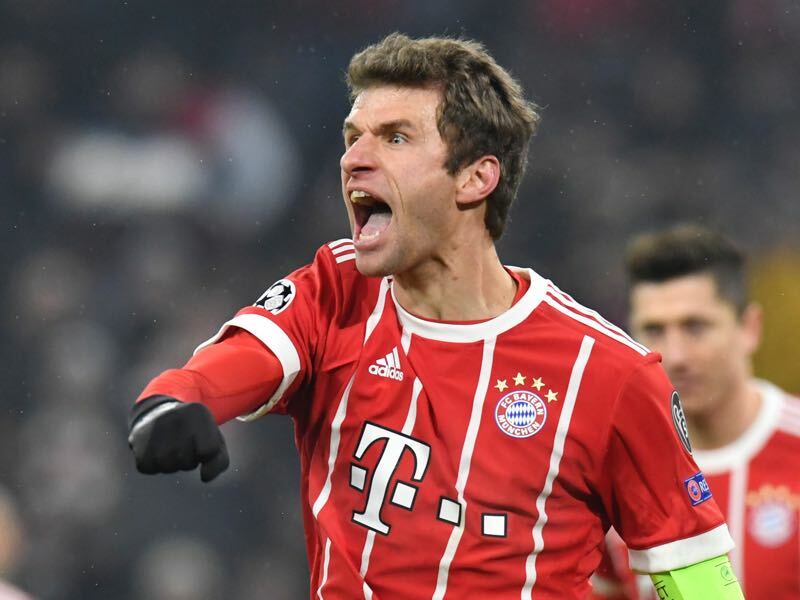 Overall, Müller has now scored five goals and eight assists in 19 Bundesliga games and looks to build on that statistic in the coming months going into the World Cup. 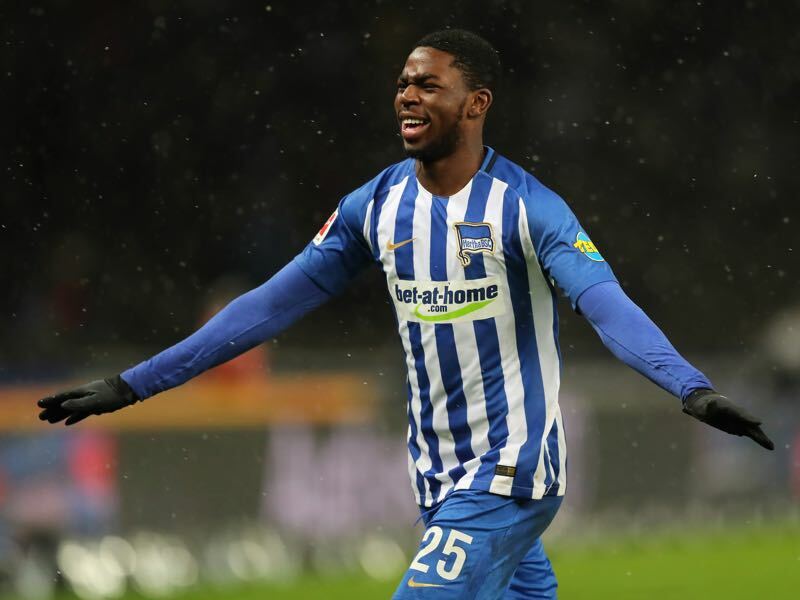 Jordan Torunarigha is the latest defender developed by Hertha’s academy. Knowing of Torunarigha’s immense talent, there was very little worry when Hertha announced the transfer of Anthony Brooks to VfL Wolfsburg in the summer. The German-Nigerian has already featured for Germany’s U-20 side and will likely start against Bayern on the weekend in what would be the biggest test for this young defender since breaking into the first team. Hertha are the only team in the Bundesliga that has managed to stay without a defeat in the two games at a row. The last two games ended in draws. Robert Lewandowski’s penalty goal against Wolfsburg was already the 18th Bayern goal after a standard situation. The Bavarians are top of the league in that category closely followed by Schalke and Hertha, who have both scored 17 times following a standard situation. Bayern’s record at home against Berlin is W26 D4 L2.